Did you know 75% of Indian households store their wealth in property? The second-most favourite investment option is—youguessed it right—gold. 11% of Indian households hold their wealth in the form of gold. The pattern is least surprising. Indians are notoriously risk-averse. Considering this, it makes sense that Indians’ love for gold is almost unparalleled. After all, the yellow metal sounds like a risk-free asset, especially in comparison with other financial options like equity. 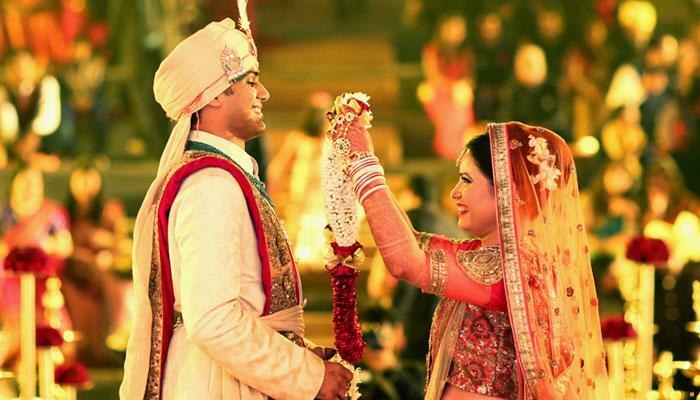 And since weddings are where wealth is on full display, gold is an intricate part of matrimonial affairs. Weddings are where golden jewellery are dusted off lockers and displayed in full glory. Weddings are also where gold is gifted—to those getting married and in some cases, to the immediate relatives too. But, we are in the 21st century. Isn’t it time to revolutionise some wedding rituals? Around 22,000 tonnes of gold—worth around $1 trillion—is estimated to be stored in lockers and temple vaults in India, as per World Gold Council (WGC). Stored gold—be it in the form of bars, coins or jewellery—does not earn any interest. It’s idle money that, at its worst, has the potential to lose value. Safety can be an issue too. A recent RBI report suggests that you may not be compensated in case of any theft or burglary of your safety deposit boxes. Gold prices do not always rise over time. Prices of the yellow metal reached a peak in 2012-2013 of over Rs 30,000/10 grams. It slumped in the next three years. In the last two years, gold prices have almost been flat with minor fluctuations in price. Experts suggest that the trend of an increase in gold prices is unlikely to continue. So why not replace gold with investments in bonds? As you can see above, your money can shine better with many non-gold options. Even if you do not to take on risk with equity, you can bank on debt investment inbonds. This works in a simple way—you pay a certain amount to buy a bond. Every month, quarter or year, the bond pays you a fixed interest. Then, after a fixed period of time, you get the entire investment amount back. It is similar to a fixed deposit but with a few differences. You can sell bonds to other investors unlike FDs for better profits. They have a different tax treatment. They have the potential to offer higher returns than FDs. So there you go—a low-risk alternative to your gold investments. The best part is that you can invest in bonds either directly or via debt funds. With the latter, you can outsource your investment decisions to an expert professional with sound knowledge in such matters. Moreover, you can invest small amounts of Rs 500. These can get you access to thousands of bonds and other long-term financial investment options that can help you with a fixed income. But if you are keen to stick to gold, you can opt for another investment idea that is linked to the yellow metal: Gold bonds. Gold bonds are basically gold in a paper or a demat format. They are issued by the Reserve Bank of India on behalf of the government. These bonds have numerous advantages over physical gold. Gold bonds, like all other types of bonds,provide regular interest, something that physical gold cannot. Holding gold bonds is convenient because unlike physical gold, you don’t have to worry about its safety, storage fees and making charges. You are also assured of the market value of gold at the time of maturity. You don’t need a lot of money to invest in gold bonds, which is another advantage over buying gold or physical bonds. That’s because you can buy as little as one gram of gold in a financial year. Gold bonds have tax benefits too. The government has waived taxes in case you wish to redeem your investment. There is no doubt that old is gold. Old traditions can be wonderful in bringing together the society. However, some traditions can and must change with time, over time. The same applies to the gold you give or receive during weddings.